Debra Chandler Landis, University of Illinois Springfield student publications adviser, has been recognized with a Presidential Citation for her volunteer work as editor of the College Media Review, the online professional journal of the national College Media Association. The editing position involves recruiting and editing scholarly and popular articles pertaining to trends, innovations and activities of print, broadcast and web-based college media. Landis was among six members of CMA awarded the citation for 2016. Like many other outgoing University of Illinois Springfield students, English major Raven Wilson thrives on leadership. On campus, she is heavily involved as chair of the Student Activities Committee (SAC), sings in the gospel choir and works as a tutor at The Learning Hub. Nothing holds her back, including her blindness. Wilson was born with a rare degenerative disease called optic nerve coloboma. The disease caused both of her optic nerves not to fully form. “When I was little I had some sight and could read large print, I could see color, but as I got older it lessoned and now I can only see light and shadows,” said Wilson. In February 2016, she helped to start a student organization called AREA (Awareness Respect Education Ability), which aims to spread inclusionary attitudes about people with disabilities, often by trying to teach them how it feels to have a disability. Wilson says she’s grateful for all of the leadership opportunities she’s been offered at UIS, which have had a large impact on her life. Following graduation from UIS, Wilson plans to become a writer. However, she’ll never forget her time in Springfield and the friends she’s made on campus. Audrey LeVault says being a resident assistant (RA) at the University of Illinois Springfield is teaching her valuable leadership skills and preparing her for a future career in social work. LeVault has been an RA on campus for the past two years, is a member of the Capital Scholars Honors Program, the Social Work Club and is on the Christian Student Fellowship leadership team. As an RA, she goes on rounds checking on students, works at resident hall front desks and responds to lock outs, fire alarms and noise complaints. However, she says the most important part of her job is community building. “We really just want residents to feel at home, so we put on different programs trying to get them out of their houses, so they can interact with their neighbors,” she said. She often comes across challenging situations, where corrective action is required, but believes lessons can be learned from a second chance. LeVault, an Edinburg, Illinois native, says she chose UIS because of the right-sized campus feel. Following graduation from UIS, she plans to earn her master’s degree in social work with a focus on either school social work or children and family services. International graduation student Aman Tummala, a Management Information Systems major from India, loves to meet new people and learn about other cultures. He’s getting that opportunity at the University of Illinois Springfield. Tummala is president of the Indian Student Organization and the International Artists & Music Organization and vice president of the International Student Association. He is a member of the Association of Information Systems (AIS) and is a student employee at Brookens Library. He recently helped plan a welcome party for new international students attending UIS, in conjunction with the Office of International Student Services. “From my end, I’ve been leading the Indian Student Organization, so there is a pressure on me in making sure the event goes well,” he said. UIS was at the top of Tummala’s list when applying for graduate school because of the Management Information Systems program and the right-sized campus. Before coming to UIS, Tummala worked for major companies in India, including Google. Following graduation, he plans to return to India and start his own company. “I would just like to thank my parents and the University of Illinois Springfield for giving me and opportunity to be a part of this university and to learn skills and just be myself,” he said. Crystal Terrazas admits to being a little homesick her freshman year, but that changed when she became a member of the Gamma Phi Omega International Sorority Inc. She now services as vice president of the University of Illinois Springfield colony. Terrazas, now a junior political science and legal studies major, is a member of the Organization of Latin American Students (OLAS), Model United Nations (MUN), a resident assistant in east campus housing and a mentor for the Hispanic and Latino Mentorship Program. As part of Gamma Phi Omega, she helps organize academic events designed to help other students on campus, cultural awareness programs and participates in community service, along with raising money for the American Diabetes Association. “Greek Life is not just about the parties or all of the fun stuff you see on TV or in movies. It’s more about the academics,” said Terrazas. She chose UIS because of its location in the state capitol and has already completed several internships. She plans to attend law school following graduation from UIS. Terrazas is thankful for the wonderful people she’s met at UIS and the leadership skills she has learned on campus. It’s fair to say that Nathan Hoffman is busier that your typical college undergraduate. At 21, the University of Illinois Springfield political science major is managing a state representative’s political campaign and representing UIS students, as student trustee, on the University of Illinois Board of Trustees. 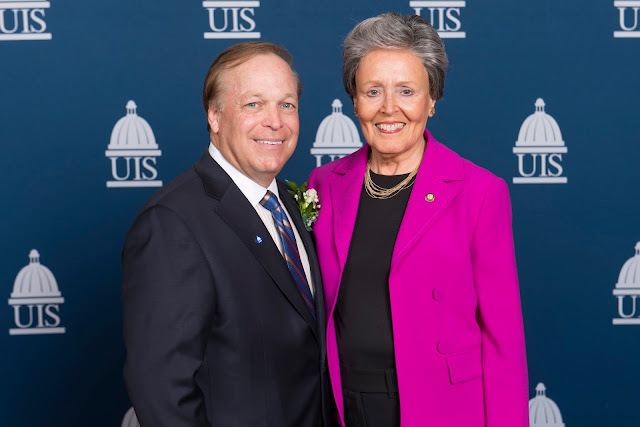 On the Board of Trustees, Hoffman is responsible for making sure that UIS students have a voice. He is also charged with making decisions that will impact the future of the entire University of Illinois system. “For the system as a whole, my focus is going to be making sure we’re making the right kind of financial decisions, considering the tight state budget times we’re in right now,” he said. 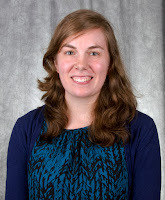 At UIS, Hoffman is a member of the Mock Trial and Model Illinois Government Moot Court teams. He is the former president of the College Republicans at UIS. Off campus, Hoffman is working full-time for the Illinois Republican party managing Rep. David Welter’s run for the 75th Legislative District. Previously, he worked in U.S. Congressman Darin LaHood’s Springfield office where he assisted municipalities and other groups seeking federal funding. Hoffman ultimately hopes to become a lawyer and plans to run for a public office. He says UIS has given him and many other students the skills necessary to succeed. 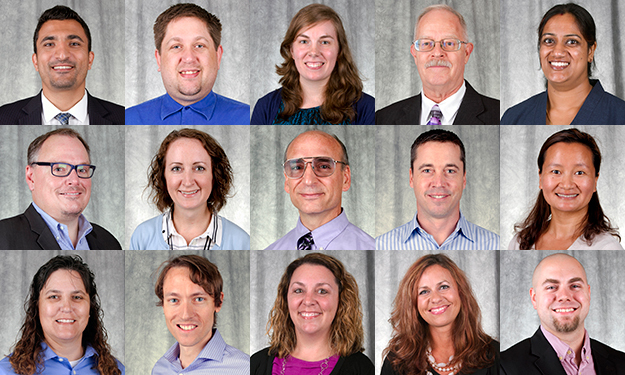 Seventeen new faculty members have joined the University of Illinois Springfield for fall semester 2016. Six will teach in programs within the College of Liberal Arts and Sciences, four in the College of Business and Management, one in the College of Education and Human Services, four in the College of Public Affairs and Administration and two in Library Instructional Services. 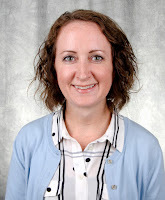 Amandailee Adams, visiting instructor for allied health in the College of Liberal Arts and Science, holds a Master’s Degree in biology from the University of Illinois Springfield. Adams research includes microbial biofilms, emergence and implications of antibiotic resistant organisms. 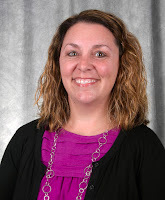 When she is not teaching at UIS, Adams enjoys spending time with her two young children, going on family adventures, traveling, boating, exercising and mentoring children. 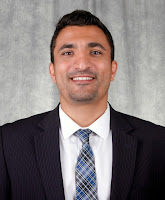 Yazan Alnsour, management information system lecturer, in the College of Business & Management, earned his Ph.D. in computer science and information systems from the University of Colorado, Denver. Alnsour’s professional interests include health information technology and innovation, analytics and big data. Away from UIS, Alnsour enjoys biking, hiking, camping and traveling. 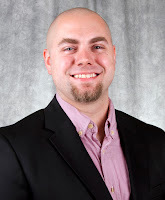 Matthew Brown, a business administration lecturer, in the College of Business & Management, holds a Ph.D. in economics from Florida State University. 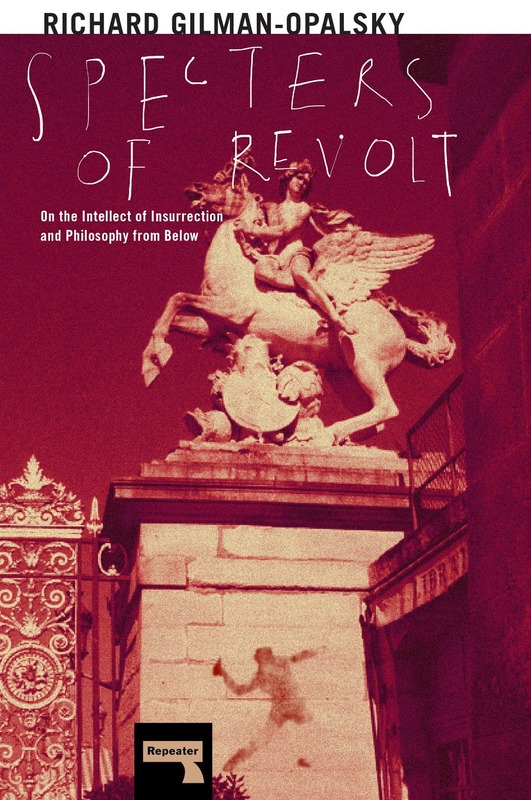 Brown’s research includes financial economics, law and economics, political economy, Austrian economics and market process theory, as well as cultural, social and economic history. Other professional interests include LGBT history/queer theory. Paul Caselton, visiting associate professor of accountancy in the College of Business & Management, holds a J.D. in law from Stanford Law School. 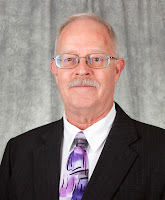 Caselton’s professional interests include law as well as state and federal tax law. When not at UIS, Caselton enjoys reading both fiction and history. 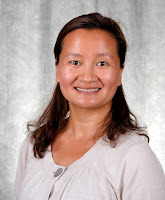 Chun Zhang Creaser, assistant professor of human services in the College of Education & Human Services, holds a Ph.D. in education, curriculum and instruction, from the University of Minnesota. Creaser’s research includes the reciprocal influence of parent-child learning and development among diverse culture and ethnicities. Her personal interests include hiking and swimming in the summer and snow skiing during the winter. Brandon Derman, associate professor of environmental studies in the College of Public Affairs and Administration, holds a Ph.D. in geography, from the University of Washington. Derman has a professional interest in geography, socio-legal studies and geographic information systems; politics of climate justice. Away from campus, Derman enjoys music, food, spending time outdoors and relaxing with his wife and daughter. 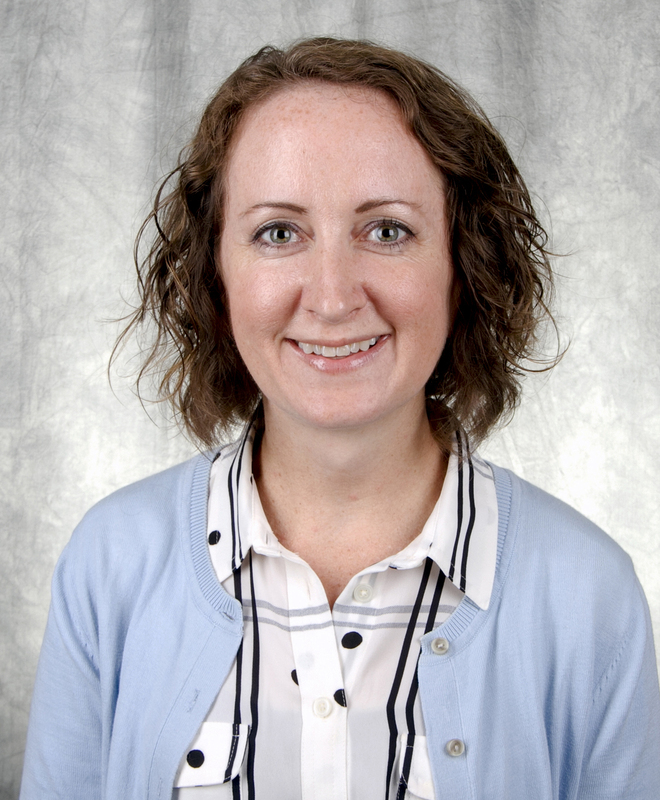 Angela Doehring, assistant professor of allied health in the College of Liberal Arts & Science, holds a Ph.D. in health promotion and disease prevention/gerontology from Purdue University. 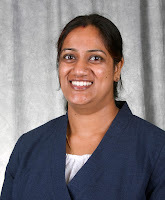 Her professional interests include studying the physical activity and behavioral changes in older adults. Personally, she enjoys spending time with her family outdoors. 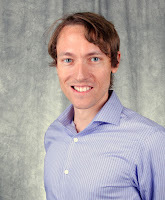 Mark Huson, assistant professor of computer science in the College of Liberal Arts & Science, received a Ph.D. in computer science from Arizona State University. His research includes computer security, parallel and high performance computing, computer architectures and computer simulation. Outside of UIS, Huson enjoys music, reading, science fiction, material arts and doing anything outdoors. Sally LaJoie, clinical assistant professor in Library Instructional Services, holds an M.L.I.S. in library science from the University of Missouri-Columbia. 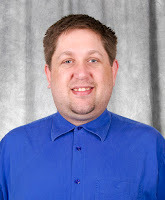 LaJoie’s professional interests include information literacy and usability. Personally, she enjoys traveling, running and reading. Gregory Mayes, visiting instructor of computer science in the College of Liberal Arts and Science, holds a Master’s Degree in computer science from the University of Illinois Springfield. Eugene McCarthy, assistant professor of legal studies in the College of Public Affairs and Administration, holds a Ph.D. in rhetoric from the University of California Berkley. McCarthy’s professional interests include law, culture, the humanities; legal philosophy and theory, corporate personhood and corporate law; legal history. His personal interests include running, baseball and outdoor activities like hiking and camping. Debra Parker, visiting instructor of English in the College of Liberal Arts and Science, is working on her Ph.D. in English studies and rhetoric at Illinois State University. Parker’s professional interests include rhetoric, writing, autobiography, linguistics, cultural studies and interdisciplinary pedagogy. Her dissertation is titled: "The Rhetoric Bravery in Contemporary Women’s Memoir". Outside of UIS, Parker enjoys running, biking, baseball, photography and spending time with her family. Neetu Singh, assistant professor of management information systems, in the College of Business & Management, holds a Ph.D. in business administration from Georgia State University. Singh’s professional interests include health information technology, design science research, big data/advanced analytics adoption and actionable business intelligence. Outside of UIS, Singh enjoys traveling, reading, cooking and dress design. Steven Ward, visiting clinical assistant professor in Library Instructional Services, holds an M.L.I.S. in library and information science from the University of Illinois Urbana-Champaign. Professionally, Ward has an interest in academic librarianship: reference, instruction and assessment. His subject specialties include African American studies, environmental and political sciences, criminal justice and global studies. Outside of UIS, Ward enjoys writing and cooking. 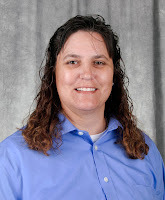 Celest Weuve, assistant professor of allied health in the College of Liberal Arts and Science will also serve as the program director for athletic training. She received her Ph.D. in athletic training from Rocky Mountain University of Health Professions. Her professional interests include workplace environment, bullying and harassment. In her free time she enjoys carpentry work. Kimberly Wiley, lecturer in public administration in the College of Public Affairs and Administration, is working toward her Ph.D. in public administration and policy from Florida State University. Wiley has a professional interest in public administration, nonprofit management and public policy. Away from campus, she enjoys gardening and taking day trips to the beach. 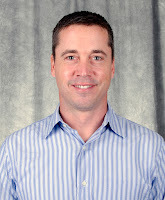 Adam Williams, assistant professor of public administration in the College of Public Affairs and Administration, holds a Ph.D. in public administration from Florida Atlantic University. 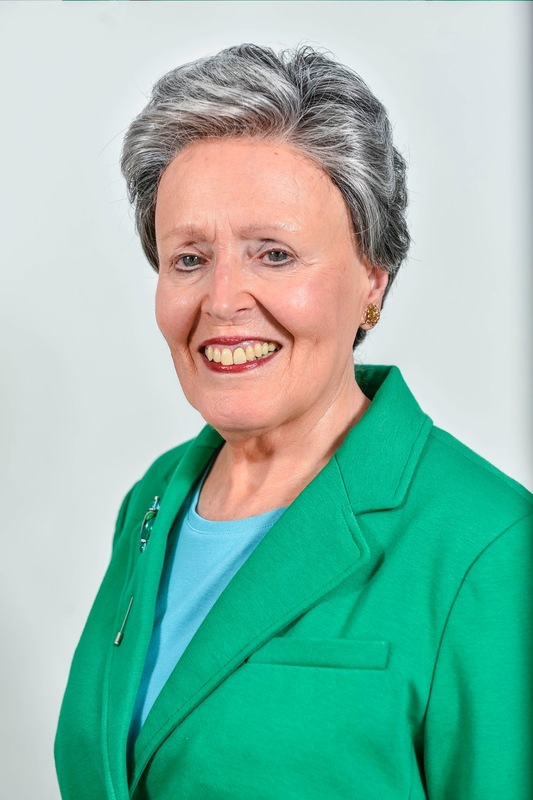 Williams’ professional interests include public procurement, budget and finance and public management. Outside of campus, he serves as a soccer referee and enjoys traveling the world. 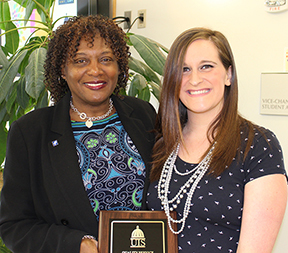 The University of Illinois Springfield Division of Student Affairs recognizes outstanding work within the division each year. Six awards are given out during the Division Retreat Summer 2016. This year, the entire staff of Cox Children's Center received the Student Affairs for Excellence Award. The center and its staff have been recognized numerous times over the years for achieving the highest performance level of accreditation. The Mentor of the Year Award, chosen by students, was given to Sophia Gelhausen Anderson, coordinator of programs and outreach for Hispanic and Latino students, for making a difference in the lives of students. One student's nomination stated, "She cares about the well-being of students on campus and has a positive attitude." Alexandria Cosner received the New Student Affairs Member Award. Cosner has served in Campus Recreation for the past 15 months. 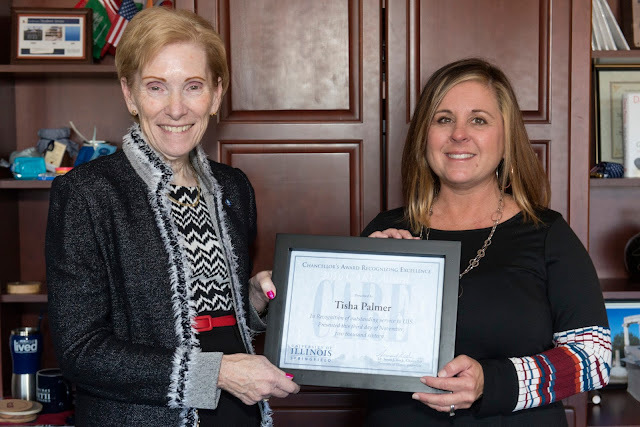 Cosner was chosen for her commitment to improving the department and offering more programs for faculty, students and staff. The Quality Service Award was given to Margaret Carlen, a supervisor in Admissions and Records. 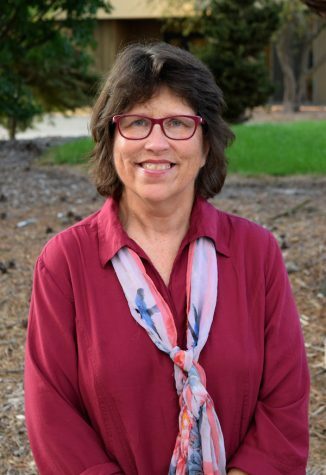 Carlen was recognized for the professional and caring way she interacts with students on a daily basis and for her dedication to seeing the university grow and thrive. 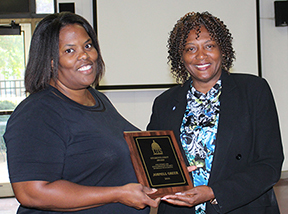 Johnell Greer, in Financial Assistance, received the Student First Award. Greer's positive attitude and willingness to anything for students, stood out as exemplary. Greer was credited with making the student experience at UIS much more simple and stress-free. 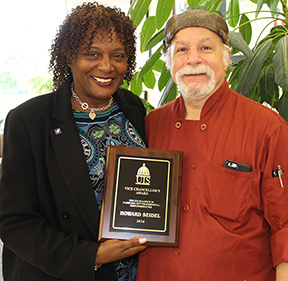 The Vice Chancellor's Award was given to Howard Seidel, UIS Food Service executive chef. Seidel was recognized for his overall commitment to excellence. The UIS Division of Student Affairs is made up of 20 centers and offices on campus. 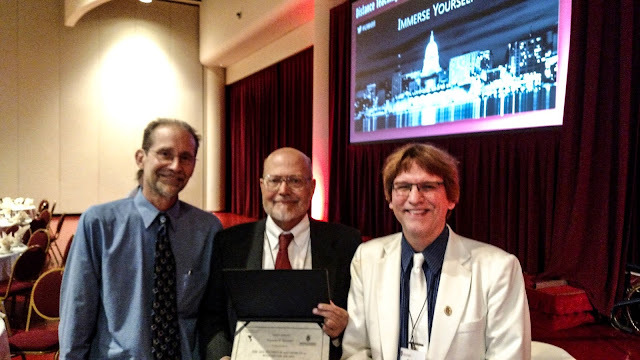 The bi-annual award honors leadership that has provided a model of practice benefitting present and future distance education programs, instructors, students, researchers, and practitioners. 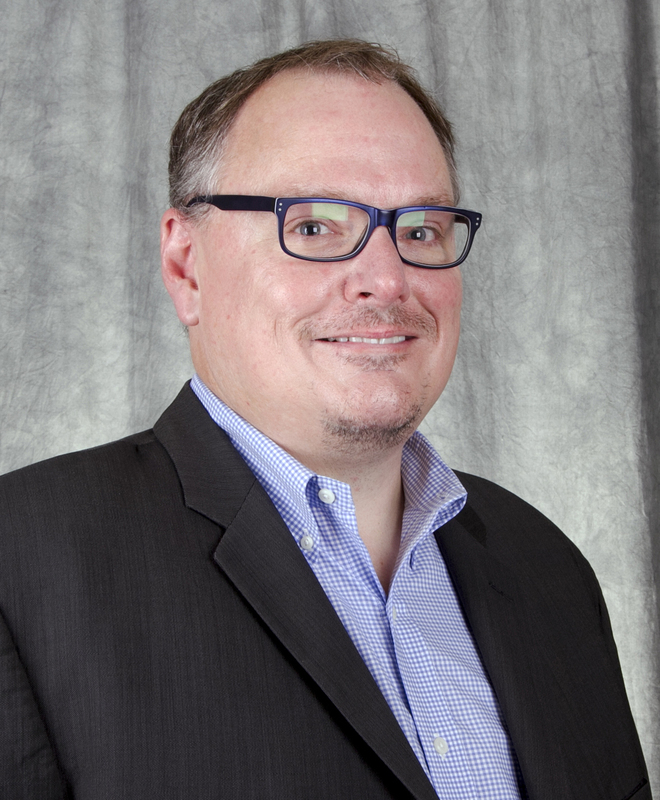 Schroeder is a nationally recognized leader in the field of online learning and is the current director of the Center for Online Leadership at the University Continuing and Professional Education Association (UPCEA). He regularly presents his research at national conferences and has written numerous publications about online and technology-enhanced learning. He is also the author of the popular blogs “Online Learning Update” and “Educational Technology”. He was recently honored by the United States Distance Learning Association (USDLA) with their Hall of Fame Award in May 2016. He was a Sloan Consortium Distinguished Scholar in Online Learning 2002-2003, recipient of the 2002 Sloan-C award for the “Most Outstanding Achievement in ALN by an Individual,” University of Southern Maine “Visiting Scholar in Online Learning” 2006-2009, and co-founder of the New Century Learning Consortium. 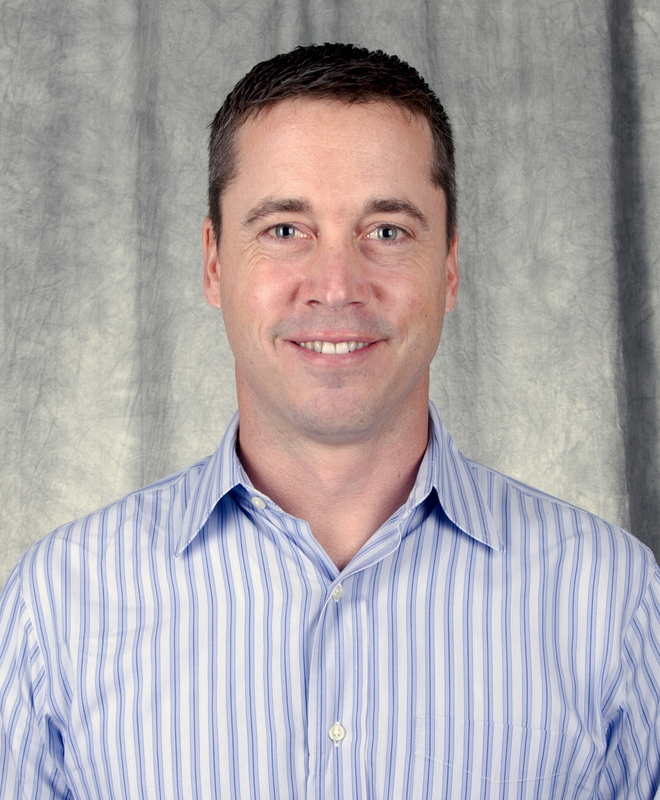 Schroeder was named the inaugural 2010 recipient of the Sloan Consortium's highest Individual award - the A. Frank Mayadas Leadership Award. He received the 2011 University of Illinois Distinguished Service Award. Schroeder was an inaugural Sloan Consortium Fellow and was named the 2012 Innovation Fellow for Digital Learning by the UPCEA. 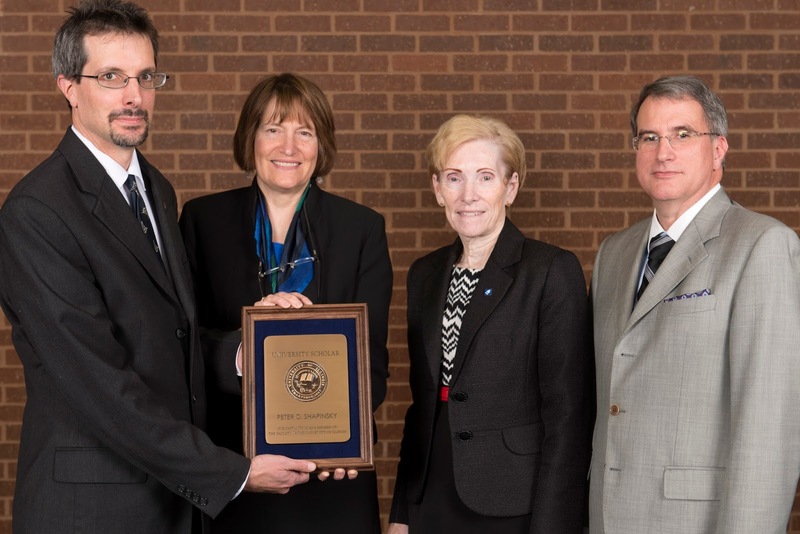 Pattie Piotrowski, university librarian and dean of library instructional services at the University of Illinois Springfield’s Brookens Library, has been named the Illinois Academic Librarian of the Year by the Illinois Library Association (ILA). 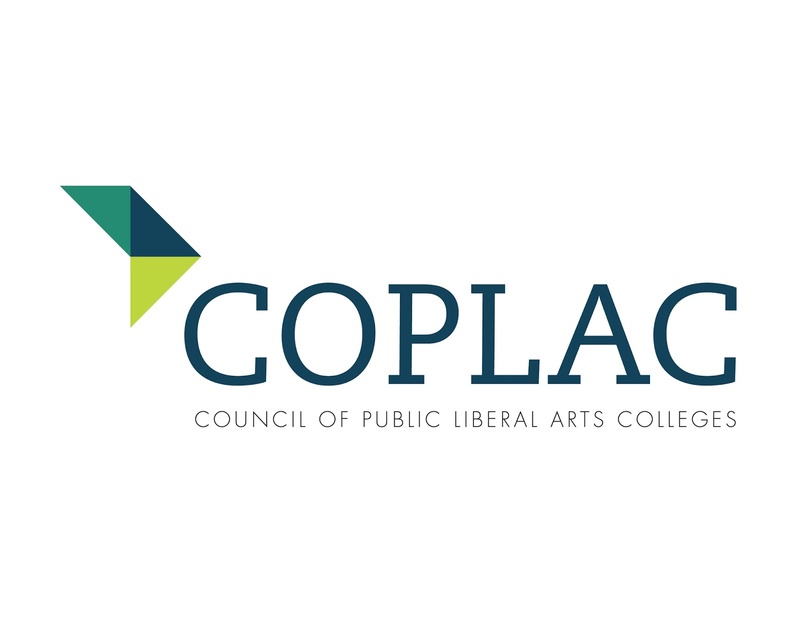 The award, presented by the ILA Illinois Association of College and Research Libraries Forum, recognizes an Illinois librarian who is making an outstanding statewide contribution to academic or research librarianship and to library development. 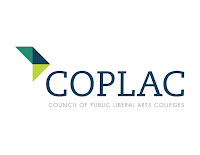 The award is sponsored by the Consortium of Academic and Research Libraries in Illinois. 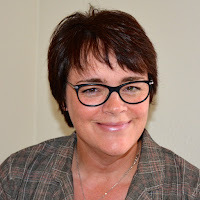 Currently the President of ILA, Piotrowski has been an active ILA member since 2003 and has distinguished herself through her service to the Illinois Association of College & Research Libraries (IACRL), ILA and the Illinois library community in general. 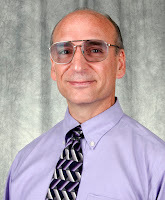 As an active member of IACRL, Piotrowski participated in conference planning duties for three IACRL conferences, including serving as chair of the 2014 conference planning committee. She also served on the IACRL executive board from 2012-2015, as Vice President/President-Elect (2012-2013), President (2013-2014) and Past President (2014-2015). The Illinois Academic Librarian of the Year Award will be presented at the Awards Luncheon held on Tuesday, October 18, during the 2016 Illinois Library Association Annual Conference in Rosemont. Even as a little girl, Taylor Vazquez knew she wanted to become a librarian. Now, the English major is getting an early start on her career goal by working as a student manager at Brookens Library at the University of Illinois Springfield. As a student manager, she oversees fellow employees, opens and closes the library and answers advanced research questions from patrons. She says the best part about the job is helping someone in need. “It’s really just rewarding hearing a thank you from someone,” she said. Vazquez is a member of the Capital Scholars Honors Program where she also serves a peer mentor. She is fiction editor for "The Alchemist Review", the UIS English Department's Literary Journal, and is a founding member of the Alpha Lambda Delta National Honor Society Chapter. 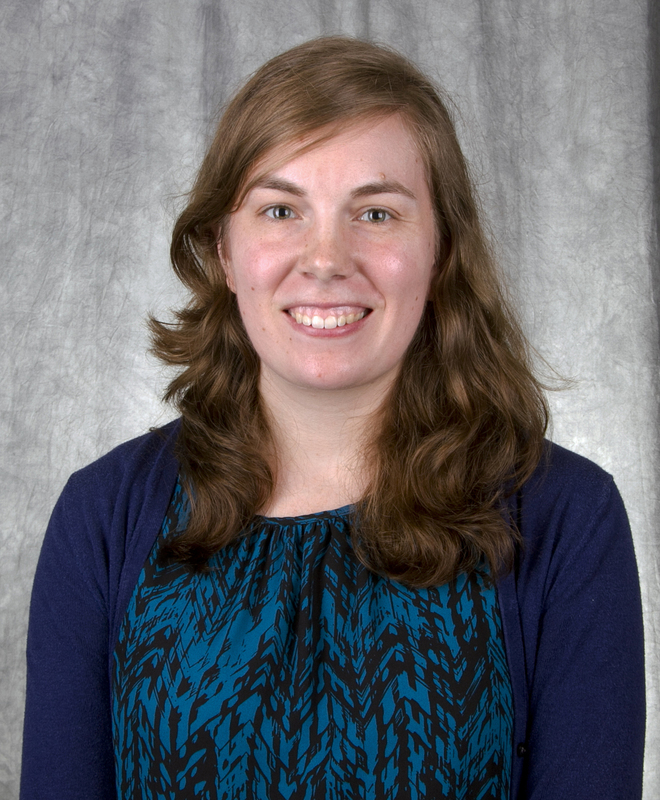 Following graduation from UIS, she plans to earn her master’s degree in library information science and begin her career as a librarian. The Chicago-native is thankful that she chose UIS because of the personalized attention she’s received and the quality education. “I really like the smallness of the school and being able to have a close one-on-one relationship with my peers and professors,” she said. “I can’t see myself anywhere else. I’m so happy here,” she said. Sameer Vohra, M.D., J.D., assistant professor of clinical pediatrics at the SIU School of Medicine and Yanhui Guo, Ph.D., UIS assistant professor of computer science, will employ big data analytics to discover patterns and correlations that might aid in the diagnosis and treatment of pediatric patients. Elham Khorasani, Ph.D., UIS assistant professor of computer science, also will join the team. Hamed Qahri-Saremi, Ph.D., UIS assistant professor of management information systems and Robert Robinson, M.D., associate professor of internal medicine at the SIU School of Medicine, will examine the different patterns of use of the Electronic Health Record system and their effects on the work routines in ambulatory health care settings. Rassule Hadidi, Ph.D., UIS professor of management information systems and Stacy Sattovia, M.D., associate professor of internal medicine at the SIU School of Medicine, also will be part of the research team. Richard Moy, M.D. (1931-2013), founding dean of the SIU School of Medicine, and his sons Philip and Eric Moy created the $250,000 endowed fund at UIS in honor of their wife and mother, former professor Caryl Moy (1932-2010). 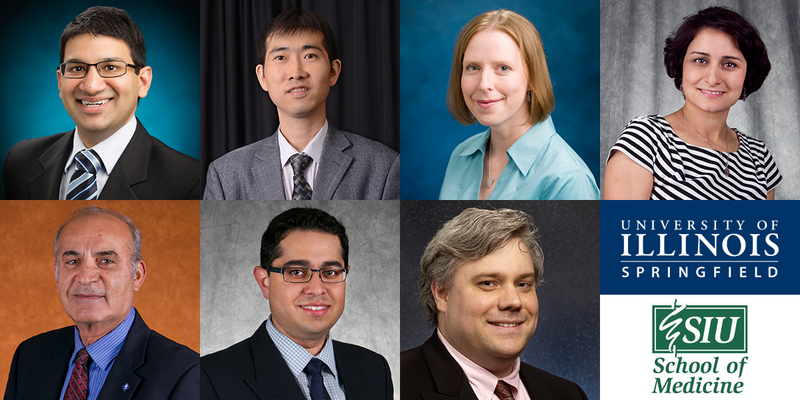 The fund supports faculty from UIS and the SIU School of Medicine who do team-based research. Caryl Moy taught for 21 years at UIS (then Sangamon State University) beginning in 1970. She also served as a clinical professor at the SIU School of Medicine. For more information, contact Cecilia Cornell, UIS associate vice chancellor for graduate education, at 217/206-7230 or ccorn1@uis.edu. Will Newton didn’t know what to expect when he left home to attend the University of Illinois Springfield. Now, the Chicago native and political science major is helping other students make the transition as a Student Ambassador for UIS Admissions. Newton answers phone calls at the admissions front desk and gives campus tours to prospective students and their parents. “It gives me a chance to brag about my school a little bit. I always think what I would have wanted to know before I came to UIS,” said Newton. He’s also a member of the Resident Housing Association, the Catholic Student Organization and the College Republicans. During his first year at UIS, Newton led an effort to organize a group of students to travel to New Jersey to help victims of Hurricane Sandy. “Every college tells you that you can get involved, you can have leadership roles right at the beginning, but I can honestly say that each of my years I was able to make an impact,” he said. Following graduation, Newton plans to return to UIS to earn a master’s degree in political science or public administration. “Then I want to find a job with a state legislator and eventually end up in Washington and maybe run for office,” he said. Newton knows he made the right decision in choosing UIS and he encourages other students to do the same. “I would tell them it’s a close-knit community where everybody tries to make sure you succeed at your highest level,” he said. 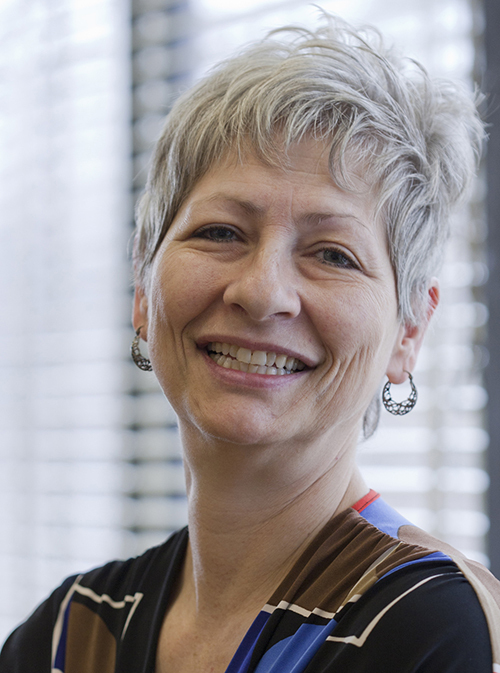 Pattie Piotrowski has been named the new University Librarian and Dean of Library Instructional Services at the University of Illinois Springfield’s Brookens Library, pending University of Illinois Board of Trustees approval. 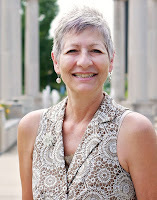 She comes to UIS from the Illinois Institute of Technology in Chicago, where she has served as Assistant Dean for Public Services at the Paul V. Galvin Library since 2006. She is currently President-Elect of the Illinois Library Association. “In assessing Ms. Piotrowski’s strengths, the search committee noted her experience, strong understanding of contemporary trends in library services, appreciation for the value of assessment, and commitment to diversity as well as to public service,” said Lynn Pardie, UIS vice chancellor for academic affairs and provost. Piotrowski has a strong background in user-centered services and a collaborative orientation to her leadership responsibilities. She has also been successful in grant-seeking efforts, garnering support from the National Endowment for the Humanities and from the American Library Association for educational programming. 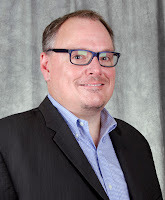 Piotrowski is a member of the American Library Association and Illinois Library Association, and has held a number of associated leadership positions. 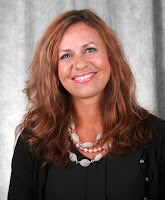 She holds a master’s degree in Library and Information Science from Dominican University and a master’s in Business Administration from the Illinois Institute of Technology. Piotrowski’s appointment is scheduled to begin on August 1, 2016. She replaces former University Librarian and Dean of Library Instructional Services Jane Treadwell who retired in April.